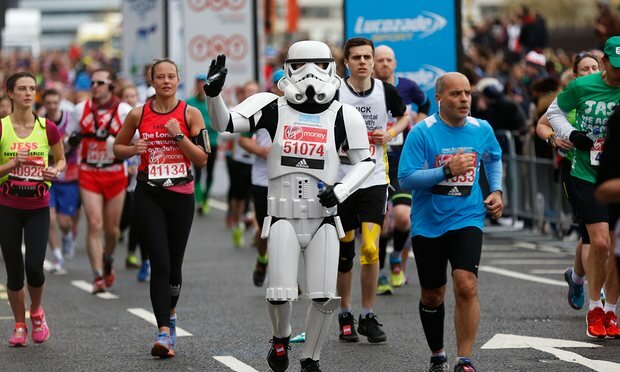 Almost 40,000 people ran in the 2016 London marathon, , setting off from Greenwich Park in south-east London after a countdown from Major Tim Peake in space. 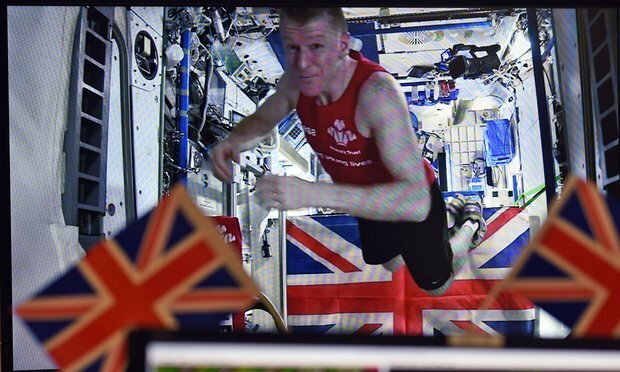 The British astronaut, who was taking part in the 26.2 mile challenge on a treadmill aboard the International Space Station. He broke the record for the fastest marathon in orbit at 3hr 35min 21sec. The giants of marathon running were back in the UK capital, with Eliud Kipchoge from Kenya winning the men’s elite race and clocking the second fastest marathon time in history, 2hr 3min 5 sec – just eight seconds outside the world record. His compatriot Stanley Biwott ran a personal best in finishing second in 2hr 3min 51sec. In the elite women’s race, another Kenyan, Jemima Sumgong , grazed her head on the road yet recovered from the fall to take her first London title in 2hr 22min 58sec. One lucky runner enters the record books as the millionth finisher in the history of the race, which was first held in 1981. 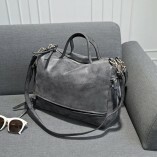 Their identity will be known in May. Marcel Hug of Switzerland won the men’s wheelchair race, ahead of Britain’s Paralympic champion David Weir in third, while American Tatyana McFadden won the women’s race for a fourth consecutive year. 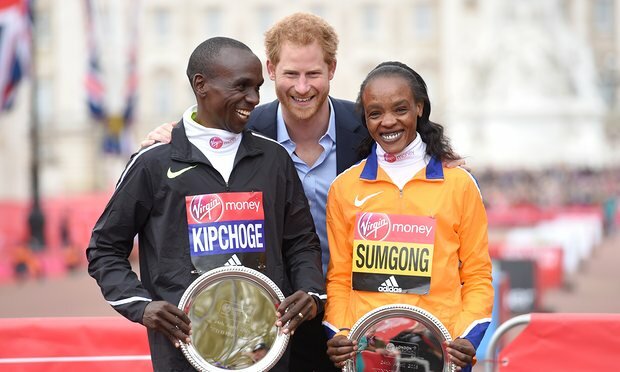 Prince Harry, patron of the London Marathon Charitable Trust, presented the winners’ prizes. The race’s fun runners included competitors dressed as hotdogs, bananas, dinosaurs and superheroes. There were four Shakespeares registered to run, 400 years since the bard’s death. The oldest runner was 88-year-old Iva Barr, who has been running marathons for about 30 years and took part in the first race in 1981. One participant, Christopher Barton, proposed to his girlfriend at Tower Bridge according to the BBC. The TV and radio presenter Chris Evans and Natalie Dormer, the British actor who stars in Game of Thrones were among the celebrity runners. Former footballer Danny Mills and Dame Kelly Holmes, a double Olympic gold medallist over much shorter distances, also took part. “I feel dead but I’ll be having a few of these,” he said, tapping the bottle. 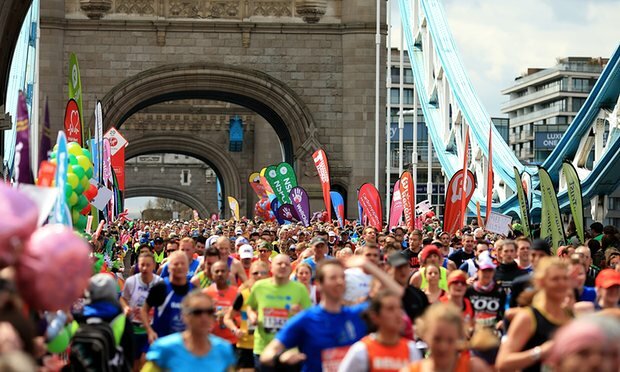 At the 25-mile point, throngs of spectators overlooking the Thames, the London Eye and Big Ben clock tower, wearing furry ears, banging inflatable batons together and holding balloons, cheered each runner as they went by. Catherine Miles, the fundraising director at the cancer charity Antony Nolan, said: “Hopefully we’ll raise over £600,000 and have over 255 runners. It’s been fantastic and we’ve been watching Paralympic athletes come through and leading women just run past at a rapid rate. Janet Bartholomew, wearing furry animal ears on her head, told the Guardian she was supporting the RSPCA: “We have a team of 45 and we’ve been here since 10.30. I’ve donned my ears and it’s a great community feel. We’ve got elite athletes and will have the fun runners come through and we’re cheering for everyone.” The charity is hoping to raise £40,000. There were road closures throughout London, with much of the race following the course of the river Thames.